September 05, 2012 • Heidi Shenk • "cards" • "etsy shop" • "Halloween"
It is hard to believe that September is here with fall just around the corner! Fall is by far my favorite season. The humidity of the summer finally leaves, yet the temperatures are pretty much perfect. With beautiful days in the 70s that usually last through October and sometimes even into November, it is hard to complain. That being said, it is time, my friends. Time to prepare for Halloween because it will be here before we know it. So I present to you, three new Halloween cards. I may be a super dork, but I can't stop laughing at this super ultra hip ghost. He kind of reminds me of Joe Cool if you know what I mean. 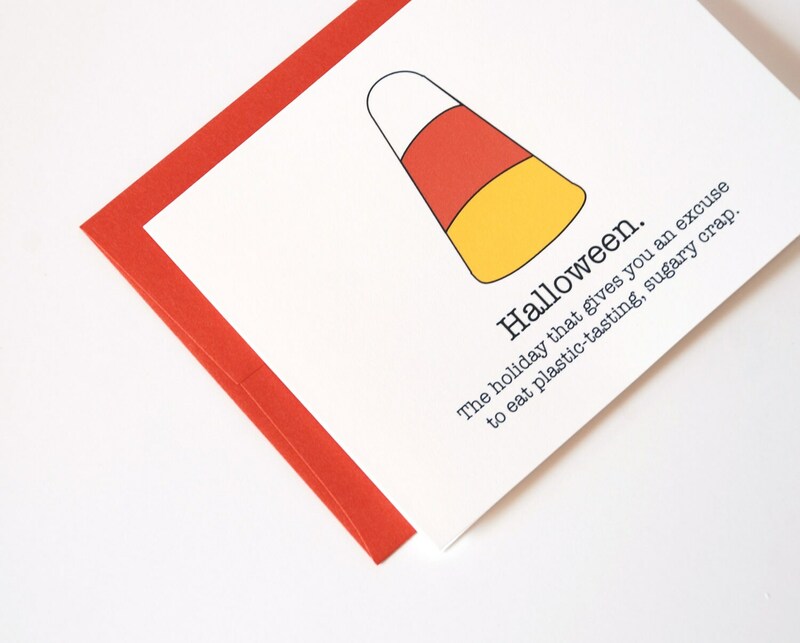 And when it comes to this candy corn card, I'm speaking from experience here. I seem to OD on the stuff every single year despite the fact that I hate it. So disgusting, but I just can't stop! And seriously, it was just too hard for me to pass up this one. 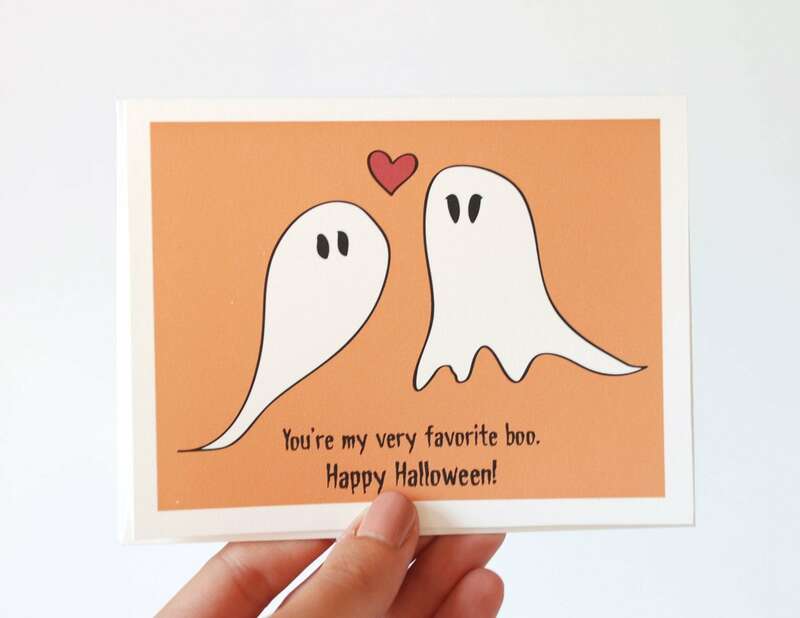 Let's face it, there are people that call their significant other "boo" and they need cards, people! They need cards! (If I was really sitting there telling you this in person, I would have said that Jerry Seinfeld-like. Also, I almost typed Jerry Springer instead. That would have been interesting. Ooops.) Plus, who could resist a girl ghost with long eyelashes? You have to look closely, but they are there! 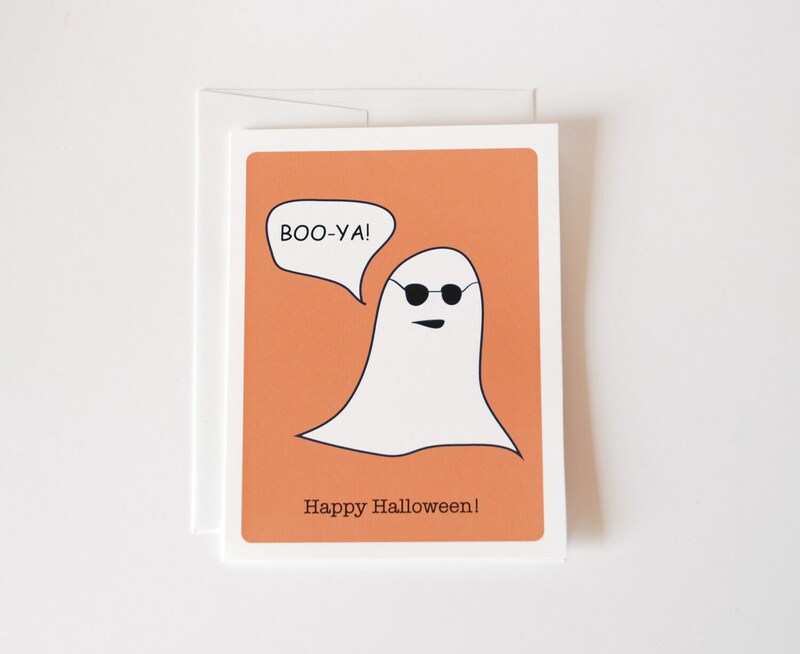 And those, my friends, are my new Halloween cards. Enjoy. Are you thinking about Halloween yet? Or am I the only one?